Aïzone is the Middle East’s leading emporium for edgy fashion labels. The dynamic brand is geared toward young, trendy customers ready to catch the next fashion wave. 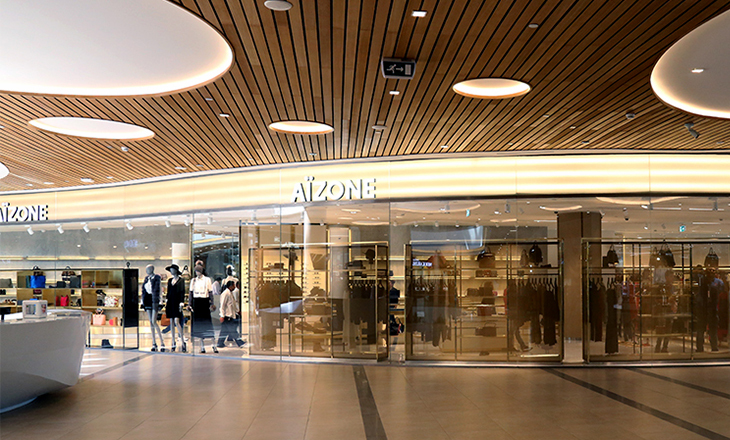 Aïzone carries some of the hippest international brands, including The Kooples, Diesel, Vince, Rag & Bone, True Religion, Seven, Camper and various other labels. Since its establishment in 1989, Aïshti has grown from a one-shop operation into a luxury empire. Reflecting the cosmopolitan country of its birth, Aïshti acts as the Middle Eastern eye on Western fashion. The company’s expansion into other domains – home furnishing, publishing, restaurants, spas and, most notably, art – has led to a brand association that transcends fashion. Aïshti’s flagship store is located in Downtown Beirut, inside one of the area’s gloriously restored French Mandate-era buildings. This luxury space is home to some of the world’s most exclusive fashion brands, encompassing men’s, women’s and children’s wear. 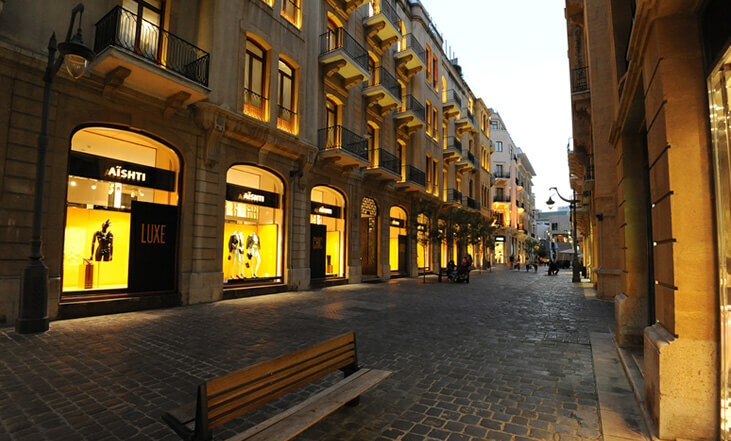 Aïshti also operates various monobrand boutiques located near the flagship and all the way into the Beirut Souks, plus three boutique-style stores in the upscale destinations of Verdun, Faqra and the Phoenicia Hotel. Set right along the Mediterranean just north of Beirut, Aïshti by the Sea is a 40,000-square-meter landmark designed by renowned architectural practice Adjaye Associates. Since opening in 2015, Aïshti by the Sea has become Lebanon’s primary lifestyle destination for fashion, wellness, food and art. 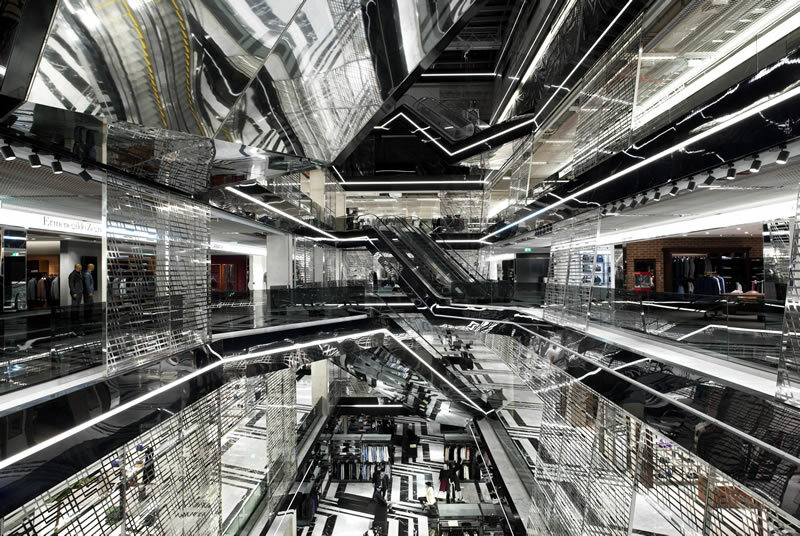 The luxurious space offers five floors of fashion, jewelry and furniture brands, as well as a curated bookshop. The fashion monobrand boutiques include both luxury and contemporary brands for men, women and children. The red Aïshti by the Sea façade – one of the most distinctive features of the architecture – envelops the edifice in multiple layers and geometric patterns reminiscent of the mashrabiya, the perforated woodwork typical of traditional Arabic architecture. From the inside, large windows open onto the sea and the city behind, generating a visual dialogue between Beirut’s fluctuating skyline and the elegant spaces of the galleries.